How Often Should You Post On Facebook, Twitter, Pinterest, Instagram? If you post too little, your content may never be seen. But if you post too much, people begin to tune you out or unfollow you completely. Really, the short answer is, it depends! But, I do know that it helps to at least have some semblance of guidance, and ideally based on research. So, this week’s lead article features a helpful infographic clearly illustrating the recommended number of posts for each social network. Of course, what works for your business and goals may vary widely from these suggestions. I post on all other social networks periodically, but tend not to have a daily schedule for each. Like I say, it varies for everyone and we all need to experiment! Check out the partial infographic embedded below from Buffer, and the full infographic on SumAll‘s blog that includes recommended post frequency for LinkedIn, Instagram and blogs. 1. 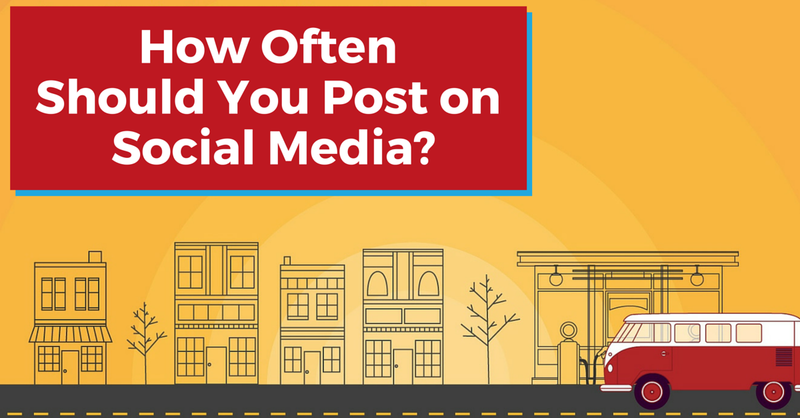 How Often Should You Post on Social Media? Do check out this post by Buffer with best practices and the research behind the ideal frequencies. Note: the infographic includes Google+, but that platform is being shut down and morphed into two separate products: ‘Streams’ and ‘Photos.’ Also, the research for Facebook post frequency is rather dated… BUT, I feel we’ve come full circle. Post frequency for some business Pages may have spiked for a while, but I’m finding 1-2x per day is optimal. Your Mileage May Vary: How Often You Should Post to Social Media http://t.co/r0qbRy0fLZ via @sumall | Great infographic! Native videos get more organic reach on Facebook than any other kind of post. (‘Native’ simply means you upload the video file directly to Facebook vs. sharing a YouTube link, for example.) This post outlines some great ideas on how to add video to your Facebook strategy! Although the post was written for the hospitality industry, the ideas can be effective for any business. An entrepreneur needs to be a great leader in order to succeed and this list includes some of the key qualities that make a good leader, great. For example, “Exemplary leaders understand the importance of continual growth and reinvention. As you grow, both personally and professionally, others around you will feel even more inspired by your leadership.” YES, love this. I’ve always been inspired by individuals who reinvent themselves regularly, such as Madonna! (I was a fan in the 80’s, Lol!). I’ve done my fair share of reinventing (per this Buffer interview!) and plan to keep it up. That’s a wrap for this weeks’ issue of The Social Scoop. Here’s wishing you a marvelous weekend and week ahead! On a personal note, I’m so glad to have a sweet weekend lined up, close to home in San Diego with friends… enjoying our heatwave 90F weather! 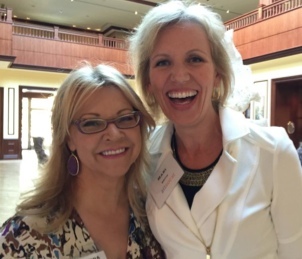 Last weekend at the Association of Transformational Leaders was exceptional; I was so moved by Neale Donald Walsch and Rhonda Britten, in particular. P.S. Due to popular demand, my awesome new friend and course leader extraordinaire, Jeanine Blackwell, is leading a free webinar, “7 Steps to Creating and Launching a Profitable Online Course” – choose from March 13, 14 or 16. Register here. P.P.S. If traveling to San Diego to attend in person is not an option, you can still take full advantage of all the amazing sessions at Social Media Marketing World 2015 with a VIRTUAL TICKET! Attend this mega conference from the comfort of your home or office. Last chance to save $200. Get your virtual ticket here.